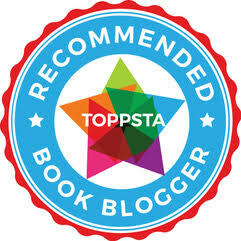 Now and again we love to cover cracklingly good YA books, mainly to keep an eye on what C will be reading in a few short years. 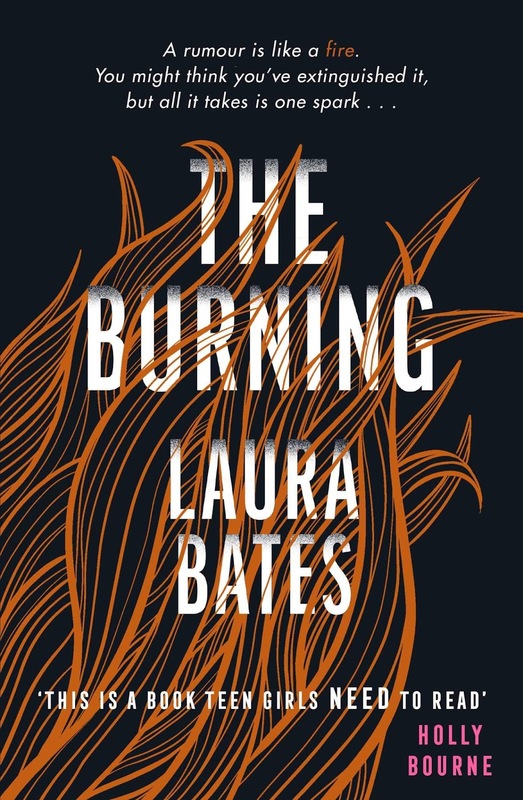 "The Burning" by Laura Bates scorches its way into our "Chapter Book of the Week" slot, using a fictionalised story derived from real-world stories and anecdotes gathered from Laura's hugely important work in schools through the "Everyday Sexism" project, speaking with authority on issues of feminism, positive self-image and toxic masculinity. Laura was one of the first authors to strongarm the power of social media in order to begin addressing issues that girls as young as C will regularly encounter in their daily lives, right through their teens and into adult life. The story opens with a girl called Anna who has moved to a new town, a new school and has even changed her identity. Completely eradicating her old life with good reason, Anna wants nothing more than to make a fresh start as far away from previous troubles as possible. The only problem is, like a fire, rumour spreads - and soon Anna's new life begins to clash horribly with her old life and 'the incident' from which she has fled. As time begins to run out on her secrets, Anna finds herself irresistibly drawn to the historical tale of Maggie, a local girl accused of witchcraft centuries earlier. Anna begins to unravel a story that has terrifying parallels to Anna’s own. I read this, but it's going to be one of those books I tuck away for C when she's older - though sometimes the subjects covered here do actually make it into conversations both my wife and I already have with C, showing just how widespread issues of harrassment, bullying and sexism are - and how even young girls aren't immune to having this sort of execrable behaviour crop up in their lives. As much as Holly Bourne's cover quote says "This is a book teen girls NEED to read", I would add that teen boys - and indeed parents - should also read this, as a piece of fiction that has many uncomfortable parallels with what womenfolk in their own families or social circles have, do currently and sadly will have to put up with in their own lives until mass change gathers more momentum. Books like this can only help that happen more effectively and this is a vitally important story to share from an immensely talented author. Sum this book up in a sentence: A solidly researched, quite often harrowing but ultimately worthwhile and important read derived from Laura's extensive experience of speaking out about the issues covered in Anna's story. 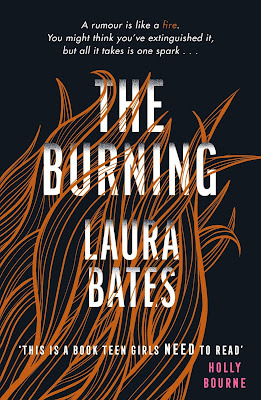 "The Burning" by Laura Bates is out now, published by Simon and Schuster.